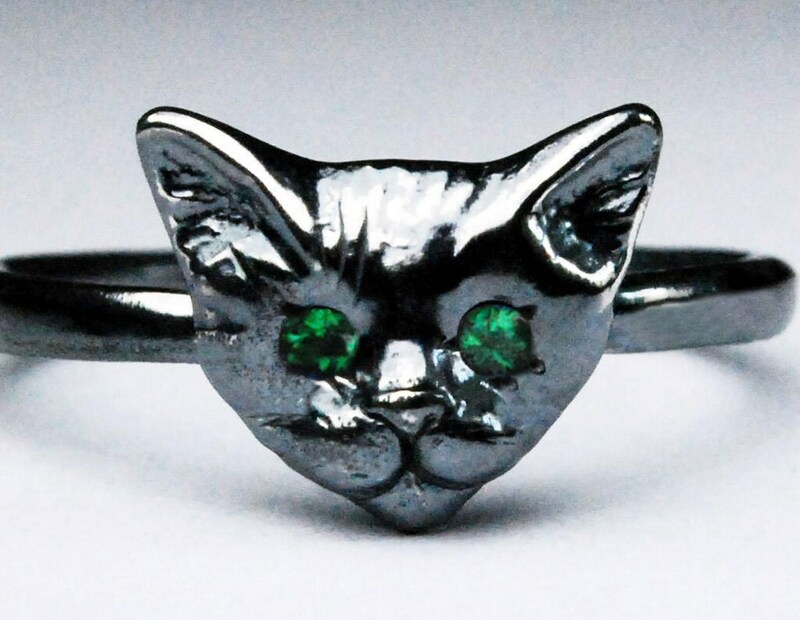 Solid Blackened Sterling Silver Kitty Cat Ring with 1.5mm lab made light or deep green emerald eyes. I would give 6 stars if that were possible! Jennifer is very talented. The creations she makes have excellent craftsmanship. Her work has a feeling of high quality and an attention to detailed beauty. So classy, imaginative and original. I have purchased from her multiple times as she is very impressive. She is also a very accommodating and helpful person to do business with. She is very patient with my questions about her work too. The process of purchasing with her is always enjoyable and not the least bit a struggle. 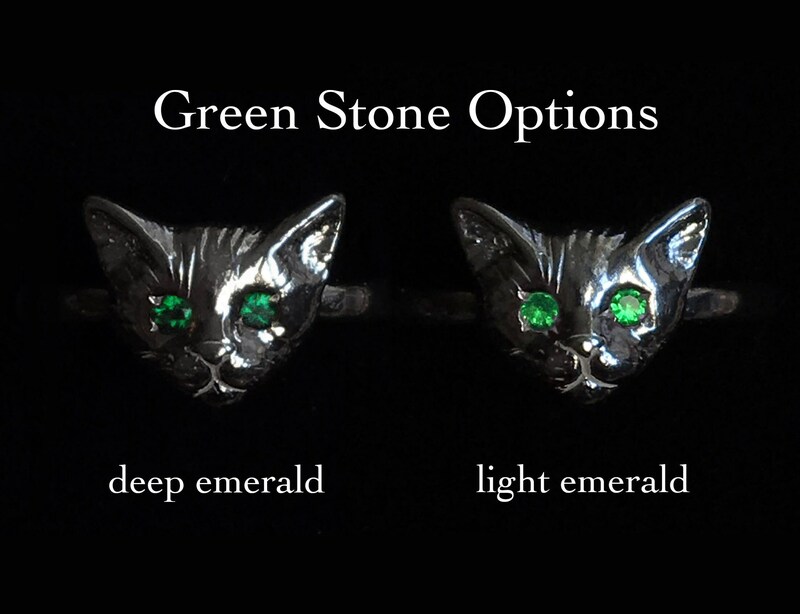 I would highly recommend her peices to anyone. 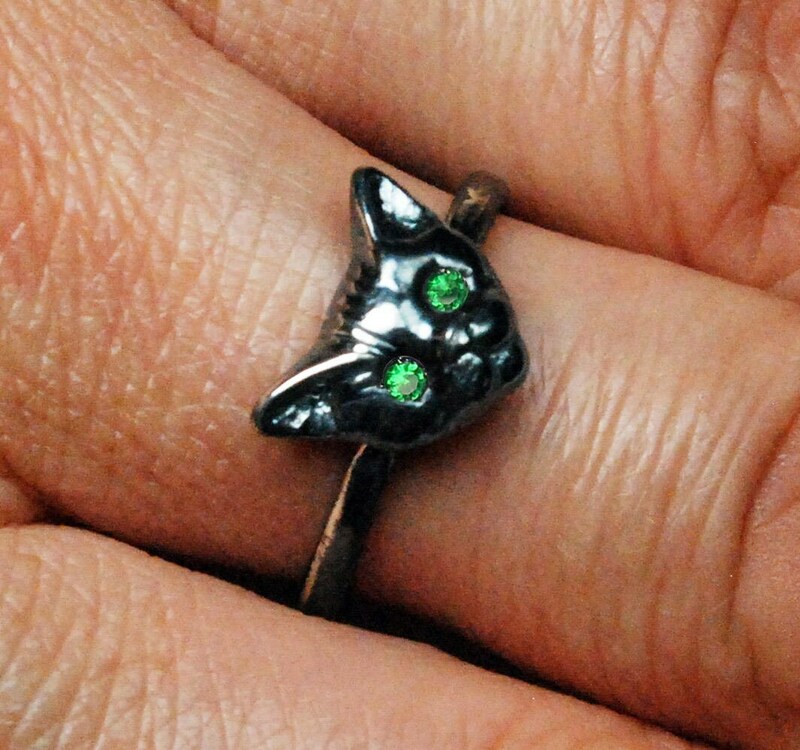 I’m always wearing this ring now. Such a favorite!